Lisa Wolcott and Chris Wilson of the Capital District YMCA demonstrate the plank – an exercise that BetterU participants come to love! For the past seven years, 10 to 12 women have come together for 12 weeks to improve their heart health. 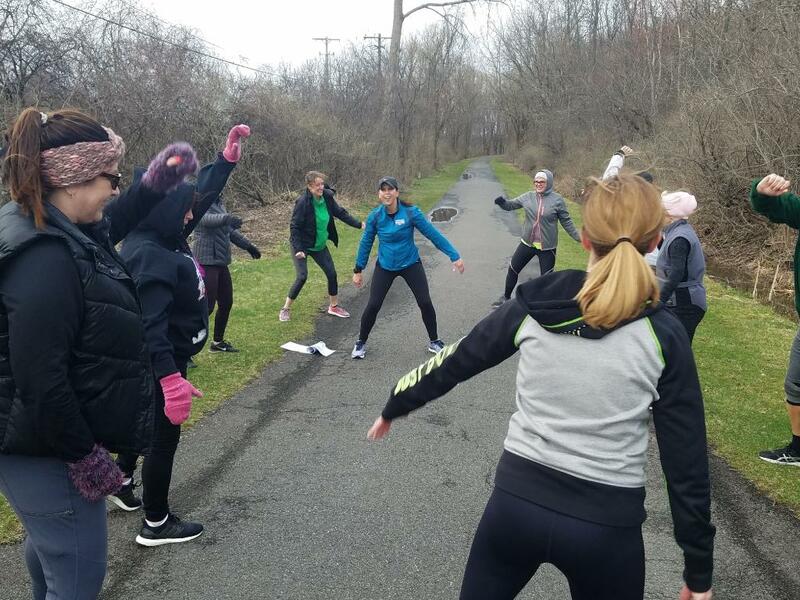 They’ve lowered their blood pressure, gone off insulin, come to love planks, lost inches and pounds, and gained newfound confidence and strength. TODAY, MONDAY, JAN. 8, at 11 A.M. AT CAP COM FEDERAL CREDIT UNION, 4 WINNERS CIRCLE, ALBANY, the American Heart Association opened the application period for the 2018 BetterU program. Among the past BetterU participants attending today’s event was Sharon Phillips, vice president of organizational development at CAP COM Federal Credit Union. Lisa Wolcott and Chris Wilson of the Capital District YMCA provided exercise demos during today’s launch to give potential participants a look at how they will work with the personal trainers the Y provides to the BetterU participants. “Core to the mission of the Y is helping those we serve to live healthy. We’re delighted to partner with the American Heart Association and CAP COM Federal Credit Union to offer the women who participate in the BetterU program an opportunity to change their lives, for good,” noted Capital District YMCA President and CEO David Brown. Dietitian Ellie Wilson of Price Chopper/Market 32 will also work with the women to help them build healthy eating habits during the 12-week program. She will lead them on a tour of a market to provide shopping trips. CAP COM Federal Credit Union will host seminars to help the women live fuller lives. “The BetterU has changed the lives of so many women over the years and our excitement at watching the progress of the participants over the 12 weeks of the program has never diminished,” said Neil and Jane Golub of Price Chopper/Market 32. Dr. Joy Lucas of Upstate Animal Medical Center and Hope Plavin of Health Management Consultants are chairing this year’s Go Red for Women Luncheon. Lucas survived a dissecting aortic aneurysm, and Plavin is a stroke survivor. Both will join the launch, as will members of the 2018 Go Red for Women Luncheon committee. Assemblyman John McDonald, D-Cohoes, spoke about the importance of a healthy community. 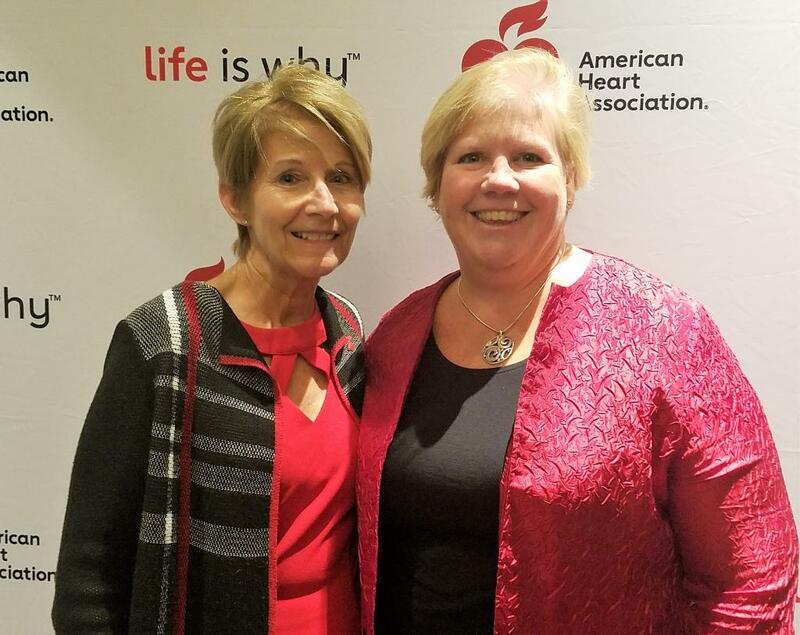 Mary Rozak, communications director for Albany County Executive Daniel P. McCoy, shared a personal story about heart disease as she represented the County Executive. The American Heart Association’s Go Red for Women movement brings women together to fight the No. 1 cause of death among women, heart disease, and stroke, the No. 5 killer of all Americans. The deadline for the 2018 BetterU applications is Jan. 22. The applications are available at CapitalRegionNYGoRedLuncheon.heart.org, or www.heart.org/albanyny.